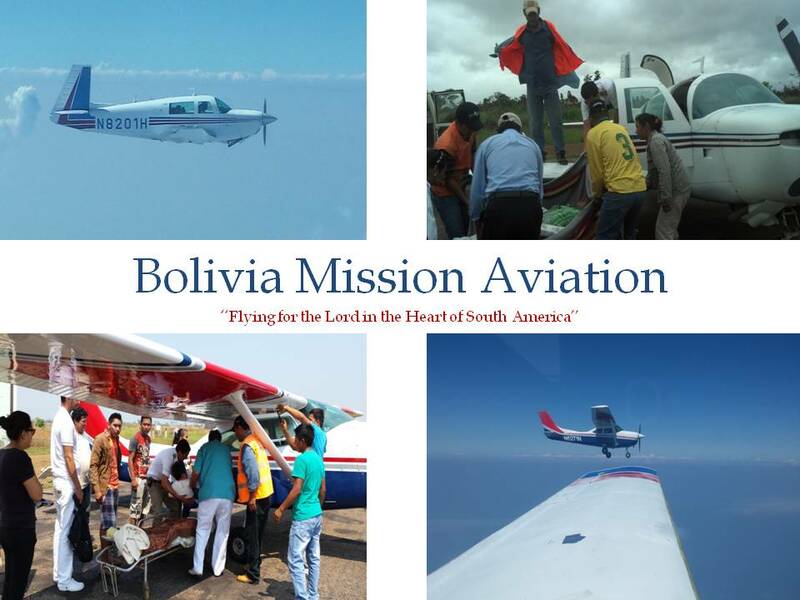 Bolivia Mission Aviation: From North to South, all in a Bolivian days work! From North to South, all in a Bolivian days work! It’s been almost a month since I left the states for another year in Bolivia. Time at home went by too quickly. I was not sure of my return to Bolivia, but the Lord provided the funds and the transportation. After communicating with David, we worked out a plan to fly the Twin Comanche loaded with much needed supplies for the TV station and other projects along the way. Accompanying me would be Jesse Walker, an ER doctor with a heart for the mission field. After driving down from Michigan to Collegedale TN, we picked up the cargo and headed to Peachtree, Georgia where the Twin Comanche was being worked on. We departed late in the evening with a fuel stop in Florida and an all night flight to Puerto Rico. We again fueled and continued on to Georgetown, Guyana while making a drop-off in Grenada. We spent the weekend with DJ and Jodi Knott in Guyana. Long time friends and missionary partners in Bolivia, it was good to see what they were up to in this strange country. I had the opportunity to visit Bethany Missionary College and saw the work being done to complete a hanger and house that sits next to the runway. Saying our goodbyes in Guyana, we departed later that night for the longest leg of the trip. 1100 miles and 8.5 hours of flying over Brazil in order to make daybreak in Guayaramerien, Bolivia, the small border town near our school. Once in Bolivia I started to feel right at home. A short 3.5 hour flight and we were in Santa Cruz, thankful to have the long journey behind us and hopefully get some much needed rest. But, as a missionary pilot in Bolivia you are soon called into action. There had been no airplane in country for over two months, so I found myself making multiple flights. The roads up north are nearly impassible with all the rain, making flying the only way to get students and teachers to the schools. I soon fell back into the rythem of things. God has been good. No serious issues with the airplane and descent weather for this time of year. In other news, we were able to move the C-182 Turbo from El Trompillo airport, where we were paying for hanger space, to a nearby air strip where we have our other two airplanes. The Lord had blessed us with friends that allow us to keep our airplanes next to their’s free of charge. With the help of Steve Wilson, who is newly married and some elbow grease from David Gates we were able to get the airplane back to flying status. Now all it needs is permission to fly. By the way, this was the airplane that had the propeller stolen off it. The Lord has been good, and we learned a valuable lesson after that ordeal. Construction continues on the grounds of the TV station. Three houses are in different stages of construction. Water lines are being put in place for future buildings and a TV antenna is being put up later this month to continue the transmission of the TV channel here in Santa Cruz. As you can see there is progress everywhere. David Gates is now dedicating more time to Bolivia projects and well as the aviation side of things. We all hope to see these airplanes doing the work God intended them to do very soon. We have some very anxious pilots awaiting to help me with the flying load around here. With all this positive news you sometimes also get some bad news. Last Friday I made an emergency flight for a missionary who has worked at the school in Guyarra for many years. She was 5 months pregnant and having complications. She and her husband requested to be flown down to Santa Cruz to get better medical attention. Unfortunately by the time they got here it was too late and they lost the baby. Even though that was a hit close to home, we continue forward doing our best to help those in need including our own. This week I continue to makes flight to the school. I have a trip to Brazil early next week and a flight back to the states in two weeks, where I will load the airplane and make another journey south full of supplies. I feel blessed to be using my talents in the Lords work. Please remember Bolivia in your prayers. I will try to update you more frequently as some friends have told me that I don’t write often enough. Until next time. This got put in my spam so I'm just now reading it, what an amazing adventure!